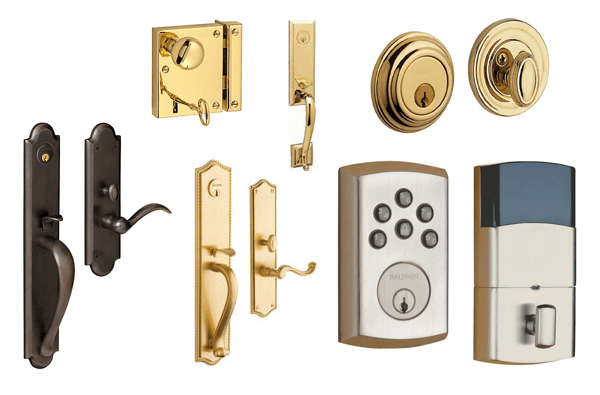 Are you looking for reliable and professional locksmith company that sells, installs and repairs Baldwin door locks, deadbolts, levers, knobs and other door hardware products in Chicago, IL? We are a local provider of residential and commercial locksmith services throughout Chicago Illinois. We offer Baldwin door hardware installation, repair and replacement services 24 hours in any case of emergency. Our technicians are licensed, bonded and insured, and always ready to provide you fast and professional locksmith services anywhere in Chicago area. Ever since its inception in 1946 in New Jersey, USA, Baldwin hardware is dedicated to produce only the best quality hand-crafted product for its patrons. It is due to their skilled craftsmen and ingenious designs that they have been successfully delivering the finest to our customers for over a period of sixty nine years. Baldwin hardware believes in satisfying its clients by providing the utmost luxury and smooth finish with all its products. It is because of flawless elegance and consistency in their products that the people have vested their trust in them. Whenever it comes to designing an exquisite home or a business place, Baldwin hardware can be totally relied upon. The products range comprises of complete set of door hardware, other home accessories including complete bath range and they also manufacture cabinet accessories and commercial locks. The products are also classified according to different portfolios namely estate, reserve and prestige series. These portfolios feature the best that we have to offer for varying purposes and according to your needs.